The role of L&D at SMRT has evolved over the past few years, beyond the traditional delivery of training courses. To develop a competent and engaged workforce in an increasingly complex operating landscape, SMRT has been making significant investments in its L&D capabilities and plans. 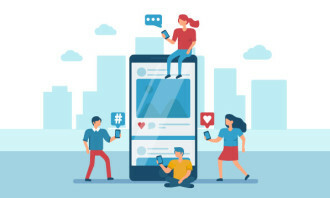 It now takes a long-term view towards L&D – from the perspectives of both the company and its employees, and integrates its L&D and HR strategies into a coherent and mutually reinforcing one. “More than conventional training courses, we create learning experiences that motivate and engage employees, and inspire them to a higher level of excellence,” says Kang Huey Ling, principal at SMRT Institute. The challenges and changes in the operating landscape that SMRT faces are numerous and multi-faceted. These include the doubling of the rail network by 2030, heightened regulatory standards, increasing ridership and commuter expectations, alongside an ageing infrastructure and workforce. To overcome these challenges, the firm took deliberate steps to grow and professionalise its railway workforce, especially in railway engineering. One key L&D initiative towards achieving this was to establish strategic academia-industry partnerships to grow and sustain the rail engineering workforce pipeline. The firm has established Memorandums of Understanding and co-launched courses with academic institutions such as the Institute of Technical Education, Republic Polytechnic, Singapore Polytechnic, and Singapore Institute of Technology. Besides strengthening its L&D capabilities to develop staff’s functional competencies, SMRT also bolstered its L&D capabilities to develop staff’s leadership competencies and facilitate a company wide culture revolution. The parties work closely together to co-design the course curriculum, exchange instructional services, and create industrial attachment opportunities for students. SMRT has also been enhancing its own professional roadmaps and training programmes. In May 2015, the company launched the SMRT train engineer professionalisation (STEP) roadmap, which not only provides development opportunities for staff to gain internationally recognised professional accreditation, but also grooms them to become well-rounded individuals. SMRT has also made significant L&D progress and investments for its bus professionals, leveraging technology to enhance its L&D effectiveness. In July 2015, SMRT launched its bus training and evaluation centre – Singapore’s first team-based bus training centre. 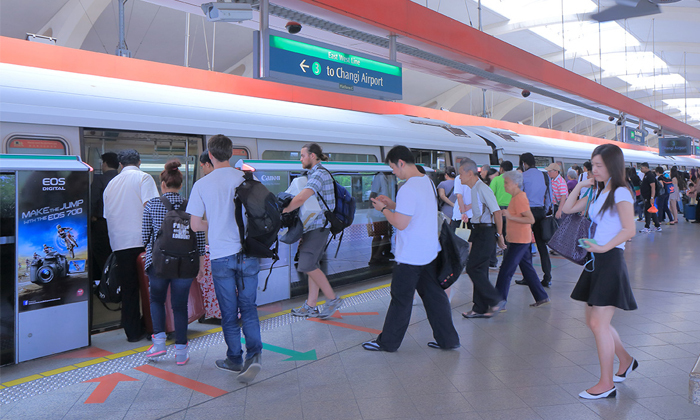 To re-engage its staff and rebuild trust with the public and other stakeholders in the aftermath of the 2011 rail disruptions and 2012 illegal bus strike, SMRT embarked on a “service excellence” campaign to inspire and achieve higher service quality. 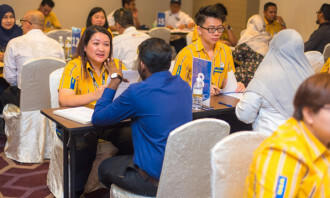 Key to this culture-shaping campaign was SMRT’s service excellence training programme, which was co-developed by SMRT, NTUC Learning Hub and Disney Institute, and attended by all SMRT employees. Service excellence and other SMRT core values were further weaved into its other L&D programmes to reinforce key messages and catalyse the culture change. The staff’s leadership development roadmap and programmes were also refreshed to develop leaders with the agility and leadership competencies to transform and grow SMRT in the new operating landscape. As a result of these initiatives, the company’s headcount grew by 30% despite a tight labour market. In addition, voluntary attrition rates halved to reach a low of 5.5% in 2015. Employee engagement scores are currently at best-in-class levels, with nine in 10 staff being proud to serve in SMRT, and 86% of staff being sustainably engaged – a noteworthy increase from 82% in 2013, placing the company way above the Singapore norm of 80%. Moving forward, the company will build upon its strong L&D foundation to groom Singapore’s rail and bus professionals so as to enhance reliability and the commuters’ travel experience. For more case studies from ANZ, Unilever, and SMRT, and tips to create your very own effective learning and development programme, head over to the Human Resources’ January-February feature.